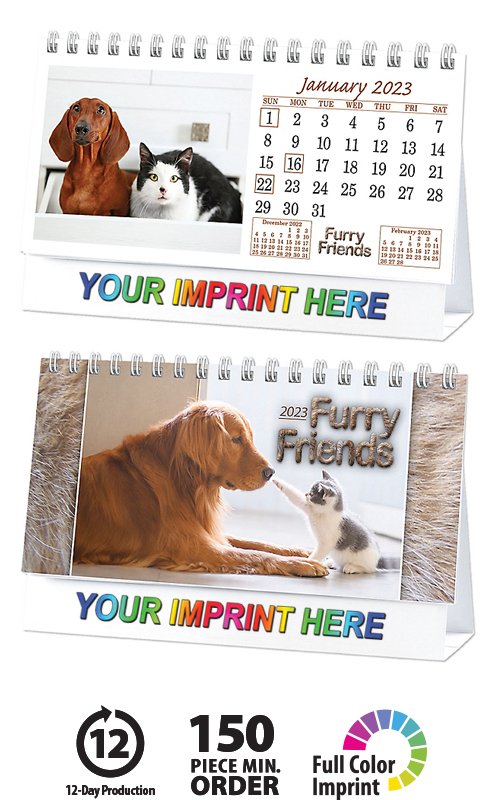 Mailhouse; 2,500 calendar min. Call for pricing. Yes, add $10 per additional dropship location. 1-4 color imprint, basic setup, PDF proof and Free Ground Shipping (US48; 1-Commercial Location). Basic custom imprint setup & PDF proof included! 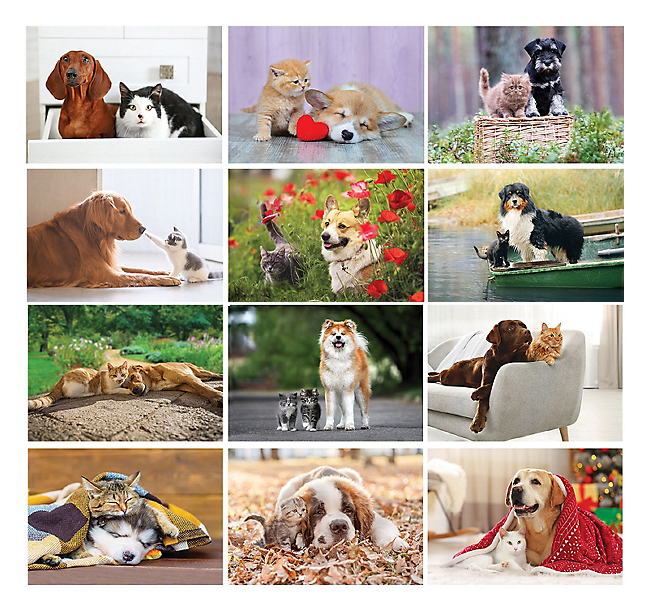 This 6-sheet, 12-month desk tent calendar features adorable images of our Cat and Dog friends! 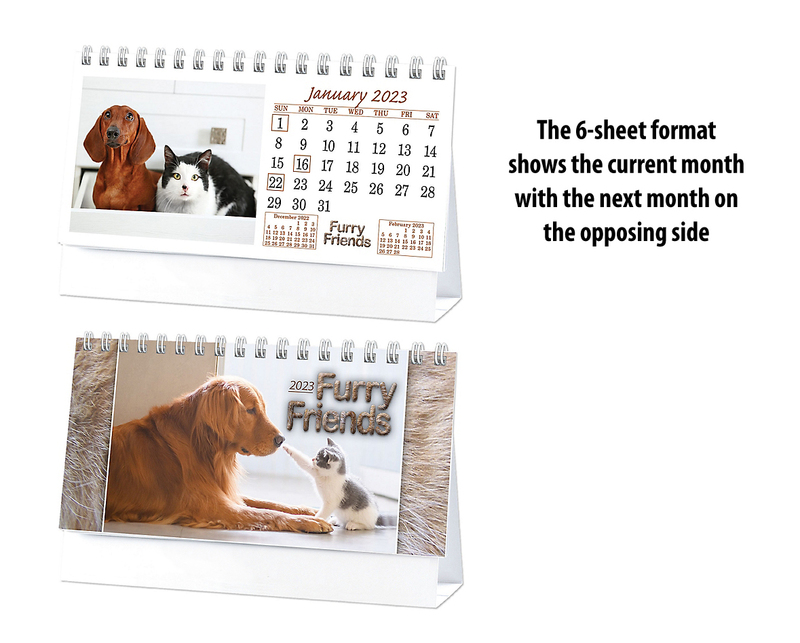 This high-quality promotional cat & dog desktop calendar will proudly display your message for the entire year!